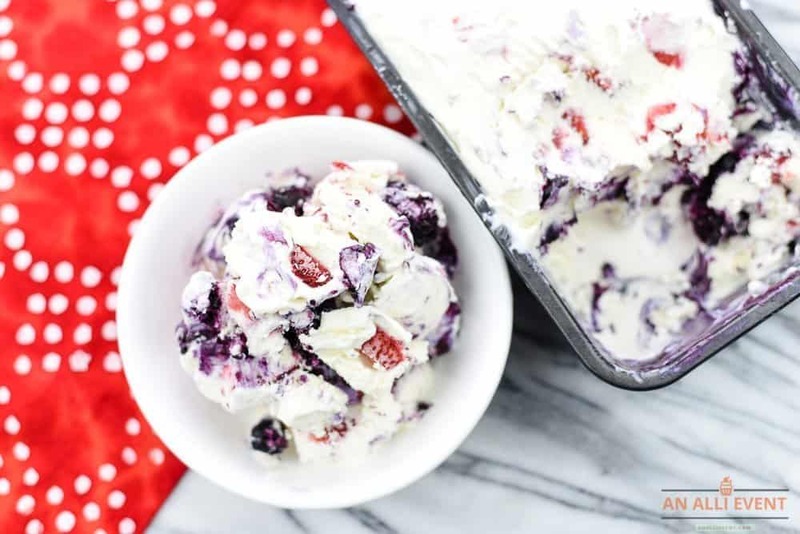 I’m crazy about patriotic holidays and Red White and Blueberry No-Churn Ice Cream! Whether we’re remembering our nation’s birthday or honoring the men and women who are serving and/or have given their lives for our freedom, I’m a true patriot. A few days ago, I was wondering what dessert to serve at our upcoming Memorial Day gathering. Since I’m on a no-churn ice cream kick, I decided to make Red White and Blueberry No-Churn Ice Cream. Whenever I’m creating a new recipe, I have my family try it and tell me their honest opinion. I got rave reviews on this one. 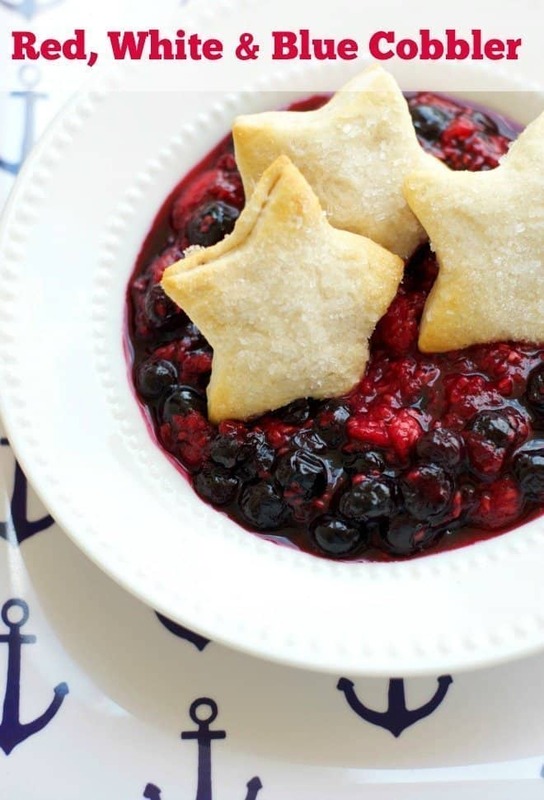 Helpful Shortcut Hint: The blueberry sauce is amazing and honestly, you can save time by buying premium vanilla ice cream, make the homemade blueberry sauce, serve it in pretty red bowls and call it a patriotic day. However, I wanted red to be represented in the ice cream, so I added diced strawberries to the base. The blueberry sauce is layered in the middle of the ice cream before freezing. Combine berries and sugar in a saucepan over medium heat and stir occasionally until berries start to release juices. Mix the cornstarch with cold water and lemon juice. Stir until smooth. Add to the berry/sugar mixture and stir well. Bring to a boil. Stir occasionally. Reduce heat and simmer for about 3 minutes, stirring occasionally. Remove from heat and stir in vanilla extract. Let cool. Beat 2 cups whipping cream until stiff peaks form, about 2 minutes. 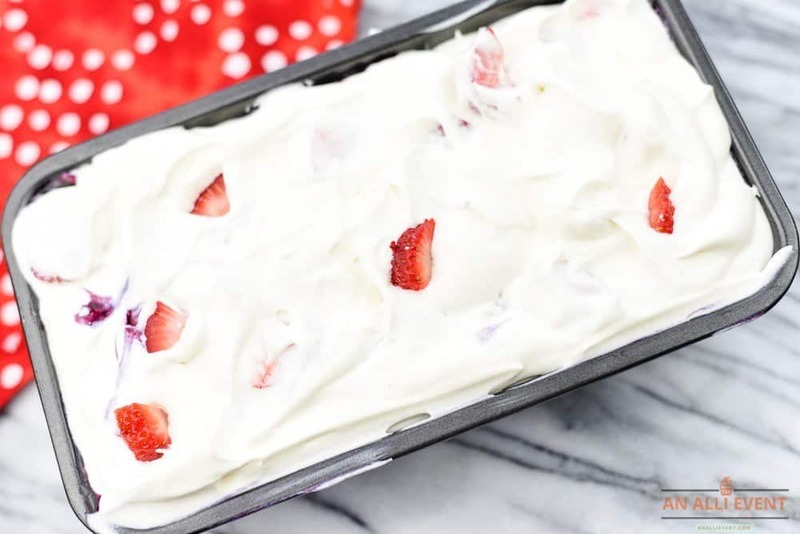 Fold in 1 can of sweetened condensed milk, 1 teaspoon vanilla extract and diced strawberries. 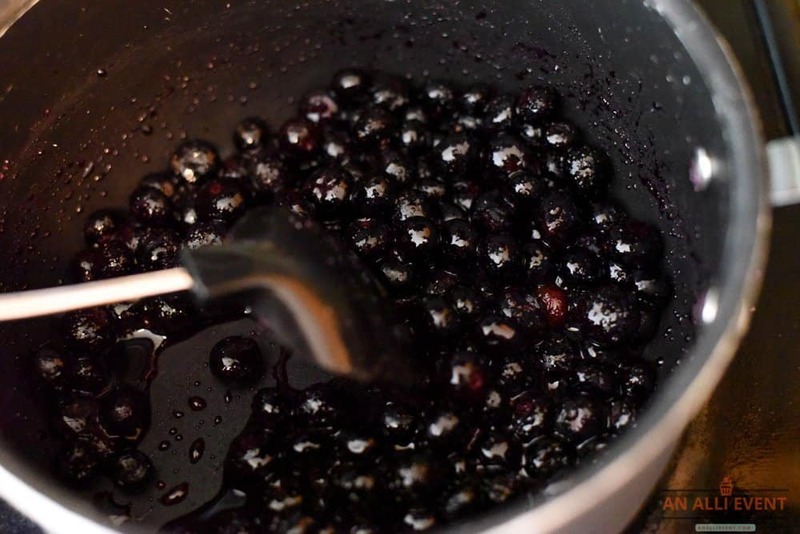 Combine blueberries and sugar in a saucepan over medium heat until berries start to release juices. Mix cornstarch with cold water and lemon juice until smooth. Add to blueberry/sugar mixture. Stir well. Bring to a boil, stirring occasionally. Reduce heat and simmer for about 3 minutes, stirring occasionally. Whip cream until stiff peaks form, about 2 minutes. Fold sweetened condensed milk and vanilla into the whipped cream. Fold in strawberries. Spoon 1/2 of the ice cream mixture into a metal loaf pan. Spread blueberry sauce over ice cream. Top with remaining ice cream. Freeze until firm. Remove from freezer and let soften for 15 minutes before serving. 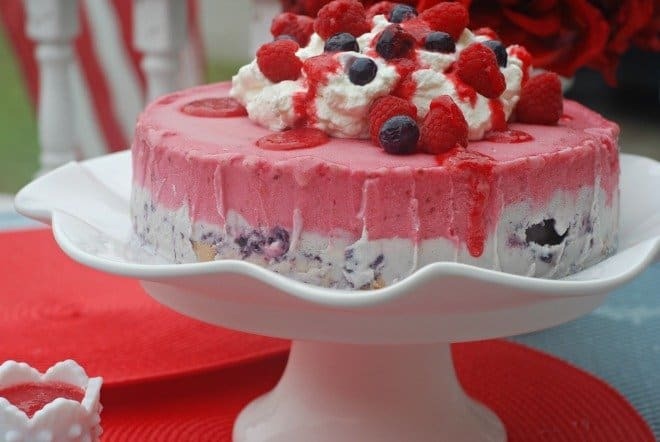 In a metal loaf pan, add a layer of vanilla ice cream base, strawberry sauce, vanilla ice cream base, blueberry sauce and top with another layer of vanilla ice cream base. Freeze five hours or overnight. Remove from freezer and let soften for 15 minutes before serving. 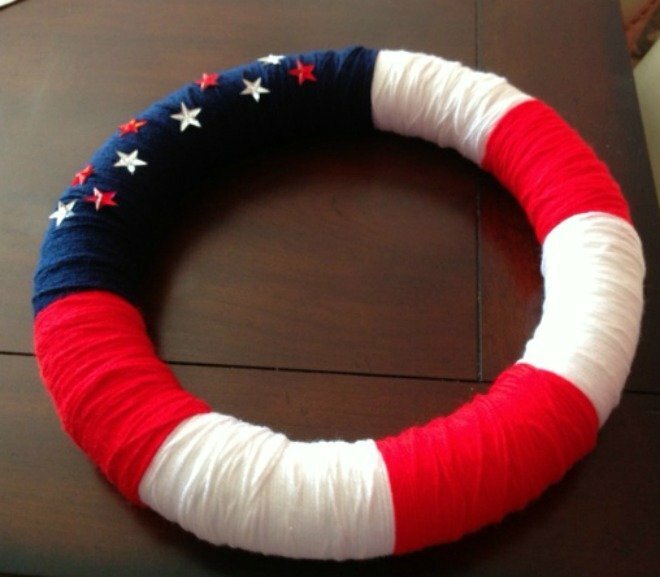 How do you celebrate patriotic holidays? I just love homemade ice cream. I need to make it more often. This sounds incredible. I love my berries! If it is red, white and blue I knew you had to be using strawberries and blueberries. No churn is a quick way to achieve ice cream and adding fruit is always a winner. 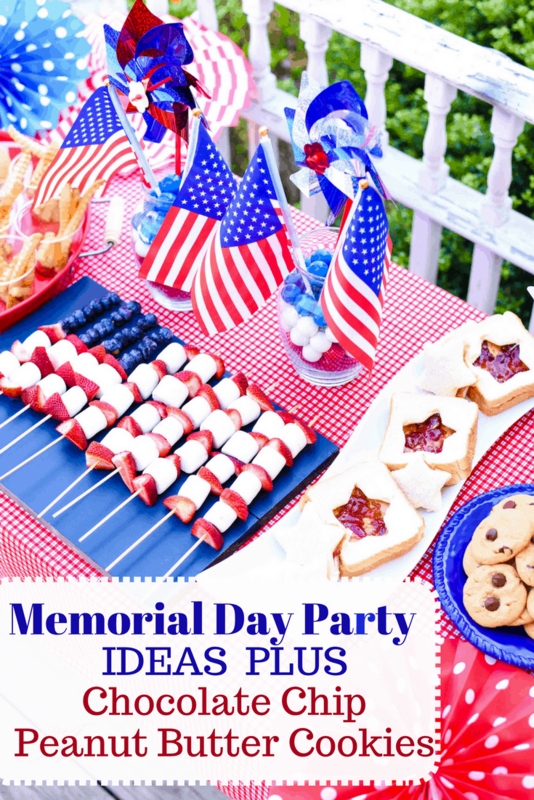 This would be a perfect dessert to my Memorial Day party! I’ve been trying to think of different ideas to make that is easy and delicious. I love ice cream myself so this is an easy choice. Love the fact that your homemade ice cream is no-churn. I’m always intimidated to make ice cream but your recipe makes it realistic for the homebaker! That red white and blue no churn ice cream looks amazing and fresh too. I will need to give this a try. I think my kids would enjoy it in the summer. I have yet to make no churn fresh ice cream here. I have never made ice cream but you make it seem easy. I love blueberies so this fresh sauce is an amazing addition to the ice cream. 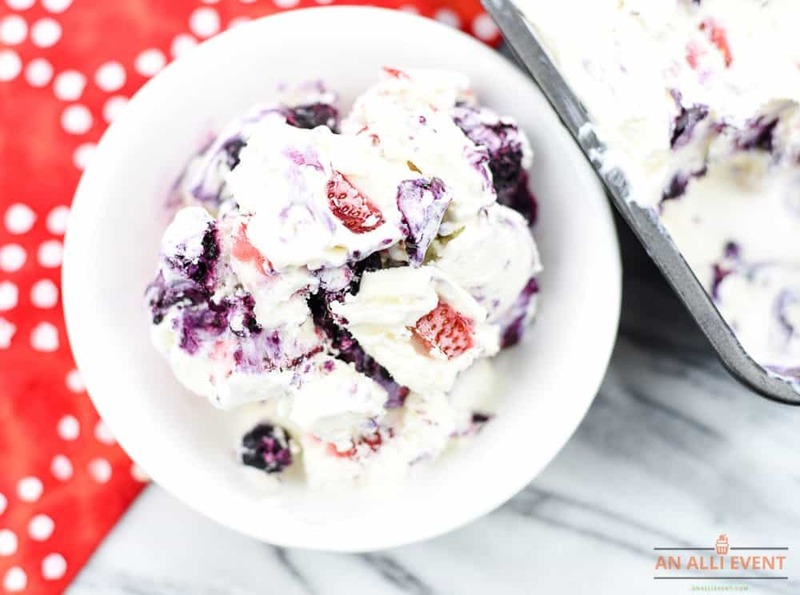 I love that this recipe is so simple (no-churn), so seasonal (red-white- and blue ice cream, hello) and such a cute treat for kids over the summer holidays. I want to give this a whirl! I’m really enjoying your creative recipes and this one looks delicious as the others. 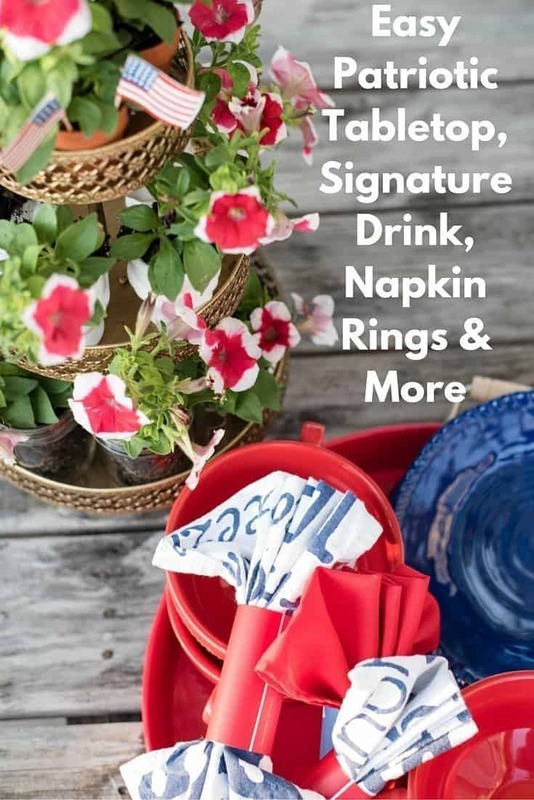 It’s such fun to use food as a decorative object on the table. I have to say I have never made my own ice cream but I bet it adds a delicious flavour! This recipe sounds amazing as well! 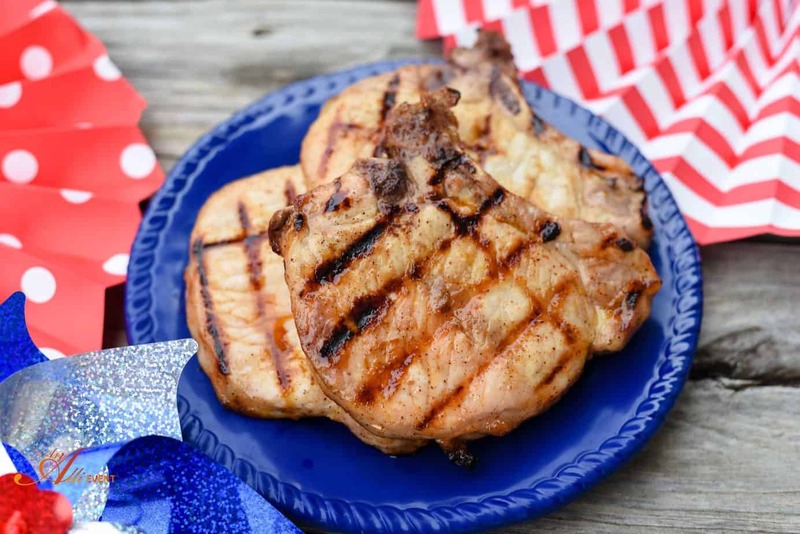 These are just the all American summer treats that are just fun to enjoy this time of year. I’m loving it all! This both looks and sounds amazing! I need to try this soon!! This looks absolutely incredible! We love no-churn ice cream in our house! We are going to have to make this soon! Your family is so lucky to have you as their personal chef! Look at the amazing dishes you cook everyday! Wow!! This looks like a fairly easy ice cream recipe and looks absolutely delicious! Perfect for these hot days! Yes please! This looks SO amazing. We love ice cream in our house and make it all the time. We will have to try this! It will be a huge hit! No doubt about it. oh, my goodness! What a treat. I would love to try this for sure. Thanks for sharing! Oh wow! I must confess, I have never made something like this and I am thrilled to try! Definitely a good offering especially when you are hosting a party. You are such a talented one! 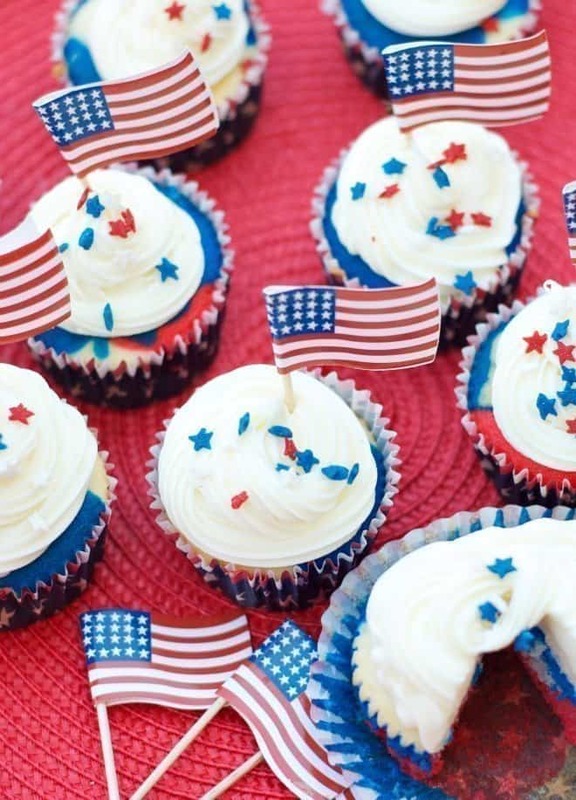 My daughter’s birthday is the 4th of July so we are always on the hunt for fun red, white, and blue treats. She’s going to love this ice cream for her birthday celebration. 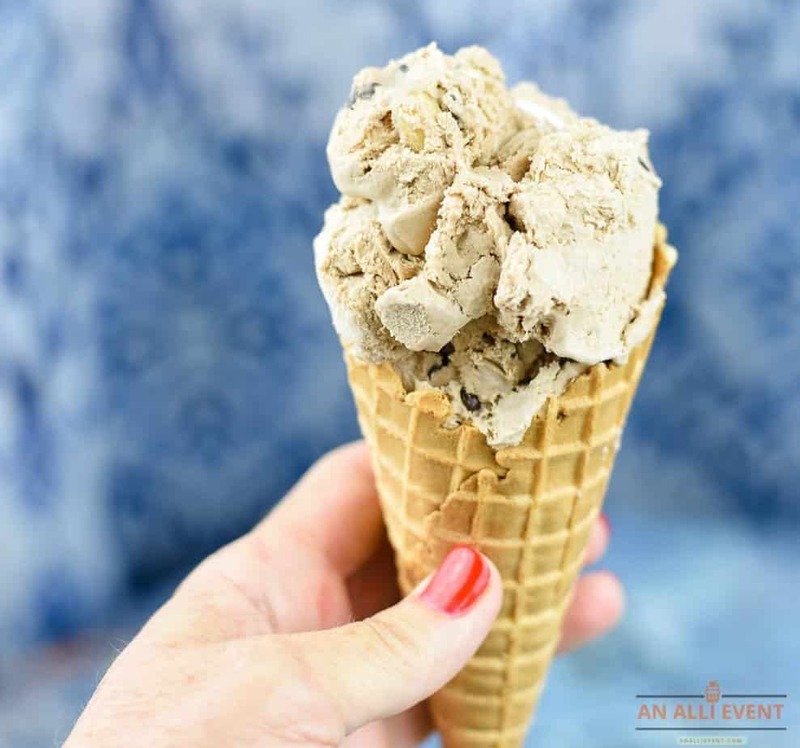 Homemade ice cream is such an easy and awesome way to go in the summer – there is no limitation to the flavors.